For ten years, Gwen Harrison has tried to make peace with the cyborgs so they can unite against their common enemy. Now that they�re finally open to a truce, she agrees to have the cyborg commander, JSN42, stay at the human enclave as the cyborgs� liaison. She�s drawn to him in a way she never expected, and he clearly feels it too. After losing her husband at the hands of the synths and becoming a single mother with two young children, she vowed she would never love anyone again�but she didn�t expect to have a Celestial Mates agent bring them together. Their bond is tentative, but getting stronger, until an act of sabotage threatens the humans, the cyborgs, and their fragile ceasefire. Can a love fated outside of time and space survive the challenges they face? 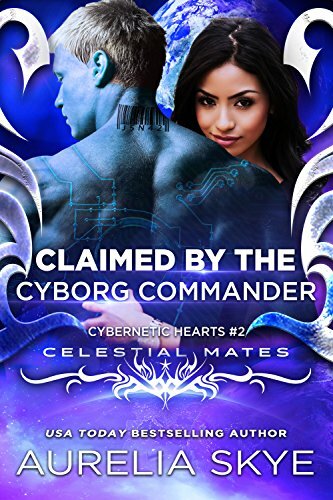 Find out in this latest installment in the Celestial Mates (and Cybernetic Hearts) series, brought to you by USA Today bestselling author Kit Tunstall, writing as Aurelia Skye.